Feeling as though your mind/body/spirit journey has gone a bit stagnant and that you are ready to take your experiences to the next level? 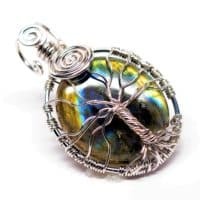 Shielding your aura, balancing your chakras, and raising your vibrations are key components in the process, and these are just a few purported benefits of using one of these exclusive Tree of Life Rainbow Labradorite Amulets. Just as humanity relies on the elements of earth, fire, air, and water to sustain, so does the Tree of Life in order to complete their natural cycles and regenerate. 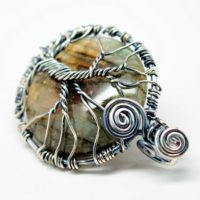 This stone and adornment combination are designed to raise one’s vibrational resonance and promote clarity that lifts mental fog that may be impeding the ability to see the true path to enlightenment and harmony. 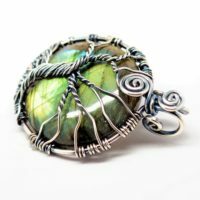 It allows one to flow with the cycles of life and to learn the intended lessons that will allow their physical and subtle bodies to flourish and revitalize. 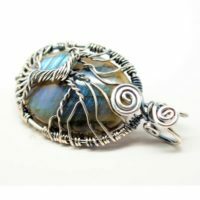 Synchronicity seems to grace those adorned with rainbow labradorite, and they often seem to have a bit of magic that surrounds them, putting them in the right places at the right time. 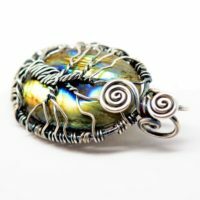 If you’re looking for a pendant that is distinctly YOURS, this beauty is for you! 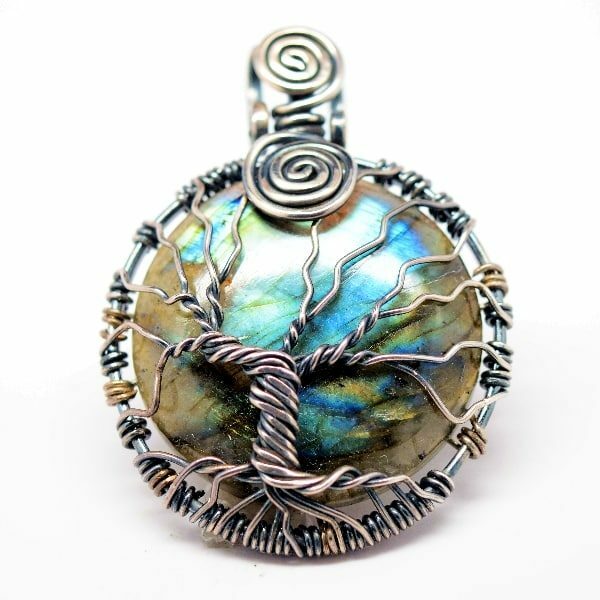 Every stone is one-of-a-kind, and each hand-crafted Tree of Life is assured to be like no other. You can personalize this gem even more by choosing up to 3 of our LightShield harmonic frequencies, and we’ll custom infuse your jewelry with our patented quantum generation process. 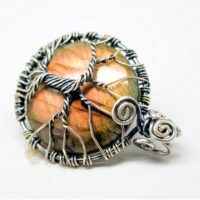 Remember, what you see here in the picture is the pendant you will receive, so don’t let this one get away! Step 2: CHOOSE Any Three Frequencies FREE! 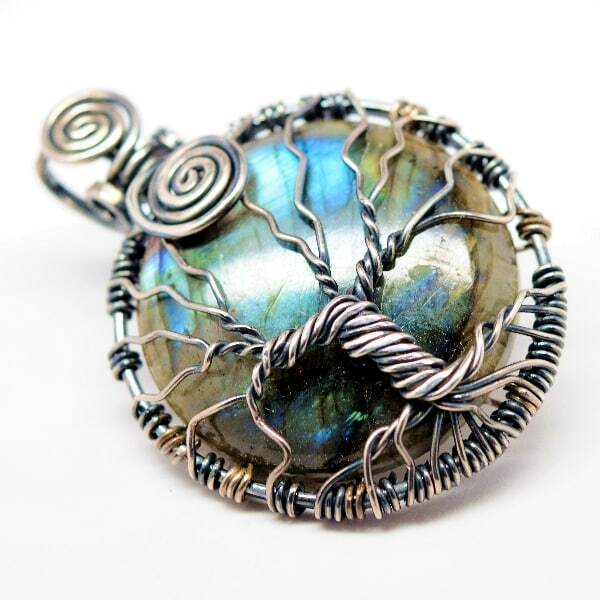 Each Tree of Life pendant features an authentic 35 mm round Rainbow Labradorite wrapped with .095 sterling silver. 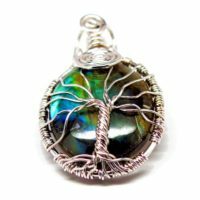 Every single piece is unique and hand-crafted, ensuring there will be NO OTHER Tree of Life Amulet like yours! 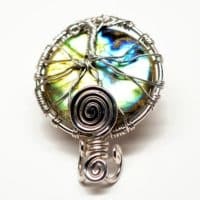 You get to CHOOSE which 3 LightShield harmonic frequencies you want infused, so you can customize your pendant to propel your specific intentions for your mind/body/spirit journey. 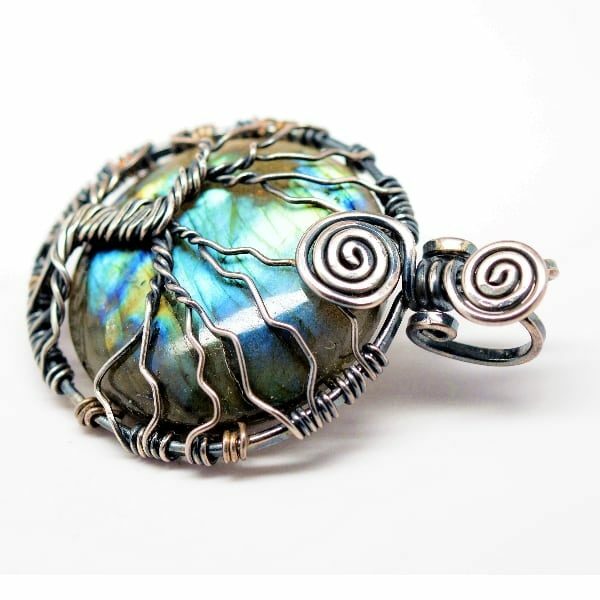 However, you can opt to have up to 3 additional harmonics infused into your amulet! 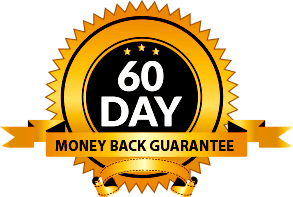 You’ll also receive a free stainless steel rope chain of your choice of 22, 24, or 26 inches and a stylish gift-ready presentation box with every pendant. 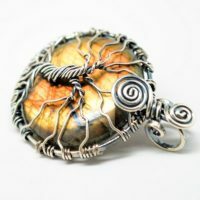 We’re also offering additional upgrades like high-quality Sterling Silver Chains to enhance the attractiveness and energetic field of your quantum stone. 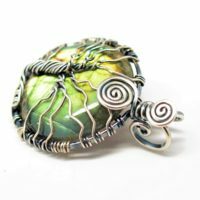 Remember, What you see in each photo is the ACTUAL pendant that you will receive, so be sure to take a peek at the entire collection of distinct pendants before choosing one that most captures your imagination and pleases your visual senses. 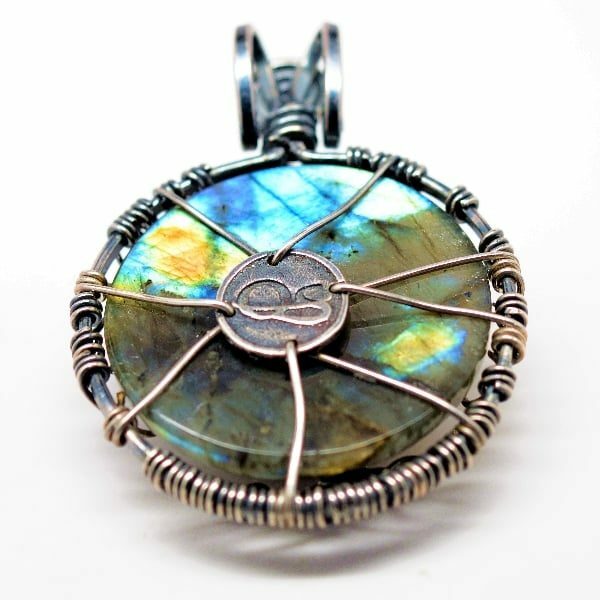 Be the first to review “Rainbow Labradorite – Tree of Life (A009)” Click here to cancel reply.